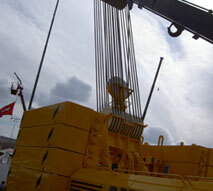 Order your Crane & Rigging manuals online. It's easy to do and you can order 24 hours a day, 7 days a week. All prices including standard shipping within the Continental United States. If you are outside of this area you will get e-mailed a quote prior to shipment. Construction Safety Association of Ontario, Rigging Manual. Handbook for Riggers. Comes with a reference card. A must for riggers!